FREE! Open to Chamber members as well as the public! 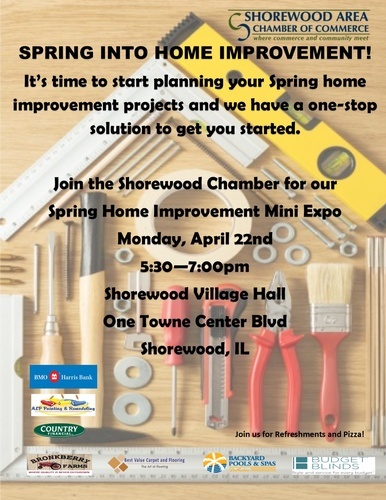 BMO Harris Bank along with the Shorewood Chamber of Commerce is hosting a Home Improvement Mini Expo and you’re invited! Support your local businesses by hearing what they have to offer while enjoying free refreshments and pizza!